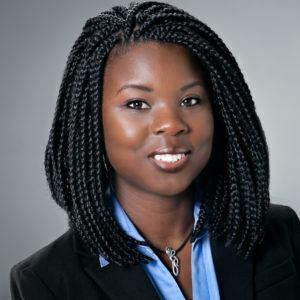 Nadege Barthelmy is UNLV student studying to receive her Bachelor of Science in Business Administration with a focus on Accounting. Barthelmy has been very involved on campus and in the Las Vegas community. She is a veteran who has a long list of volunteer activities on and off campus, including heading the UNLV Black Student Organization, volunteering as a BIG Ambassador for the Big Brothers Big Sisters of Southern Nevada, and acting as the Local Chapter President of the Student Veterans of America. Most recently, Barthelmy became Director at Rebel Venture Fund. 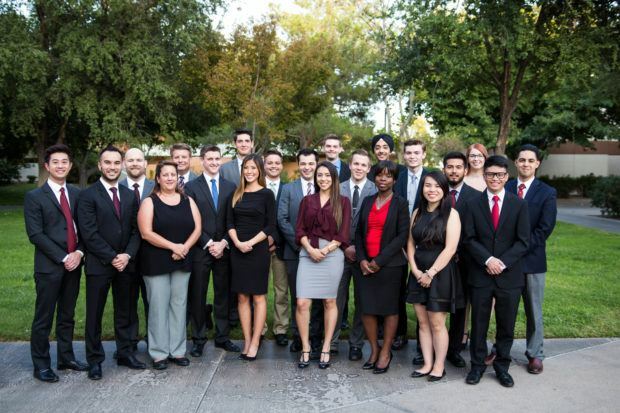 The Rebel Venture Fund is UNLV’s student-run venture capital fund that makes equity investments in private high-growth companies throughout Las Vegas and Southern Nevada. The fund invests in startups at every stage and provides knowledge, resources, and support to the growing tech and small business community in Nevada. 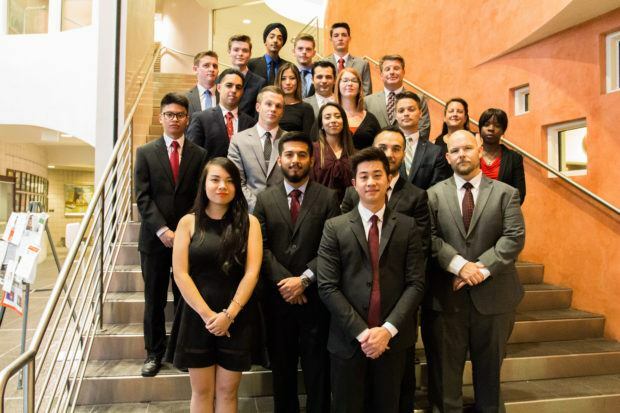 Students involved with the fund work closely with entrepreneurs and leaders in the business community to conduct screenings, due diligence, investments, negotiations, and close deals. Barthelmy started her work with the Rebel Venture Fund in July 2016 in the Associate role. In her current role as Director, Barthelmy has a focus on fundraising. She is able to work even further to make a splash in both the startup world and in the workforce in Southern Nevada. As a Director, she shares responsibilities with three other directors for the progression of the student associates and overall success of the fund. Rebel Venture Fund’s current fundraising campaign is Barthelmy’s first fundraising campaign, and she sees this experience as very valuable to her career. The money raised in this campaign will be used to send students to the Angel Capital Associations West Coast Syndication meeting in California and the Student Venture Capital Summit in North Dakota. Additionally, it will be used to send a team of the group’s best students to compete in the 2017 Undergraduate Venture Capital Investment Competition in California. Barthelmy thinks this fundraising campaign is vital for the future of the Rebel Venture Fund. Across the United States and around the world, the number of women in venture capital is small. TechCrunch recently reviewed data for the top 100 venture firms. They discovered that 7% of the partners, or 54 of 755, are women. In addition, 38% of the top 100 firms have at least one female partner. Twenty-eight firms have one, while seven have two. Women hold just under 12% of the partner roles at both accelerators and corporate venture firms. At UNLV, the numbers are also small. Barthelmy said the Rebel Venture Fund had very few women applicants this semester. In 2017, Barthelmy has big plans on deck. The group’s goal is to support the growing startup and tech community, help better connect the many resources in Nevada, and help it flourish and become a tech and entrepreneurship hub. Anyone interested in learning more about the Rebel Venture Fund or donating to our campaign can visit the campaign page online here. “We are just inches away from meeting our $7,500 goal, and any support will help!” said Barthelmy. Get to know other entrepreneurs who call Las Vegas home! Follow our “Meet Vegas Tech Community Members” series. This is great! We need all the help we can get. Many of us local start ups should have a hub to run to for support. Would love to introduce ourselves as a new tech newbie. Our mobile app for roadside assistance & towing services is now on Android, look for RoadsideTow.